The nightlife of Siem Reap is as popular among travelers as the Angkor temple ruins. At the heart of the bustling town lies Pub Street, the center of the action when the sun sets. 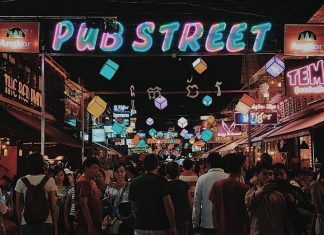 Soksan Area is famous for its sprawling night market, but also is home to several new backpacker bars and pubs to check out. 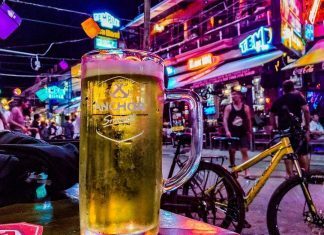 For a more local experience, Khmer Pub Street hosts many lively beer gardens. 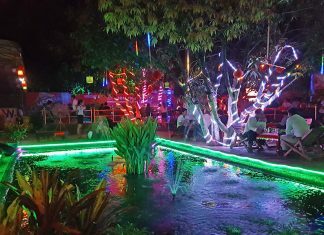 Also, the Kyung Yu Fun Fair on Road 60 is a typical Cambodian market and fair area, mainly frequented by locals and a fascinating night out during your stay in Siem Reap!